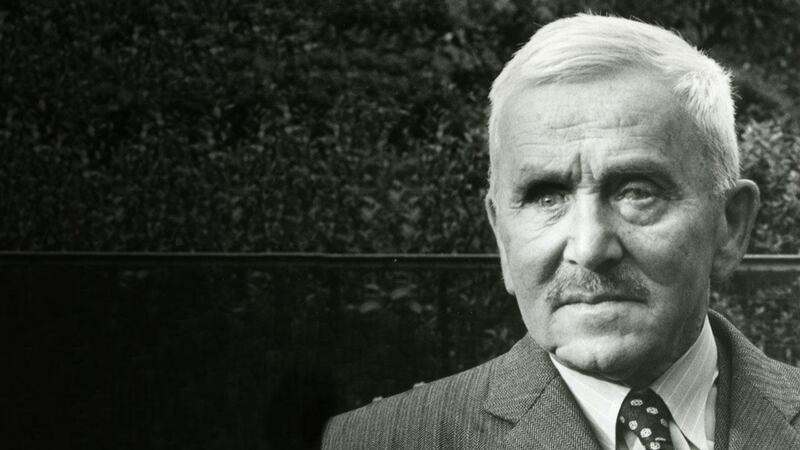 The founder of Roche, Fritz Hoffmann-La Roche, was a pioneering entrepreneur who was convinced that the future belonged to branded pharmaceutical products. 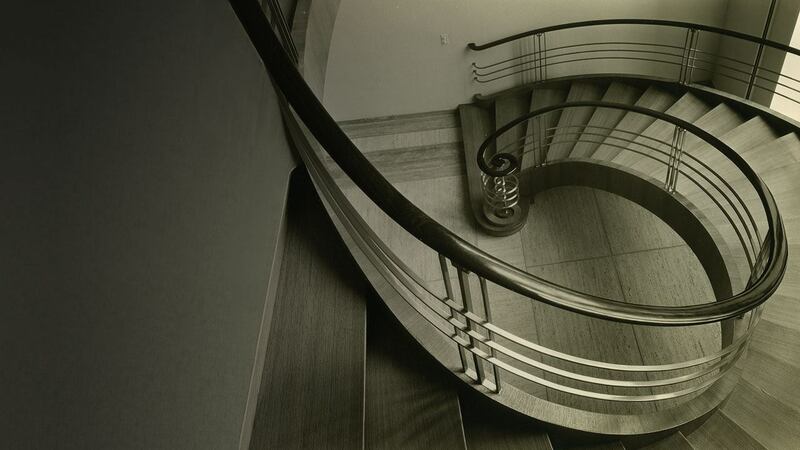 F. Hoffmann-La Roche & Co. was founded at a time when industrial revolution was changing the face of Europe. 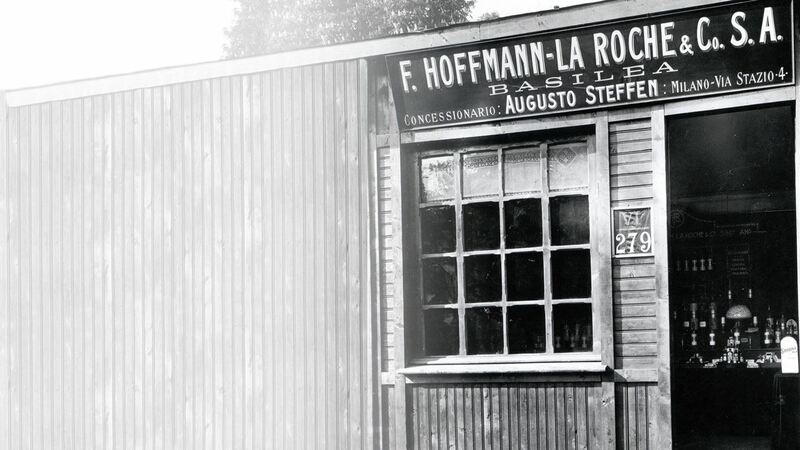 On October 1, 1896, at the age of 28, Fritz Hoffmann-La Roche launched his company as the successor company to Hoffmann, Traub & Co in Basel, Switzerland. He was among the first to recognise that the industrial manufacture of medicines would be a major advance in the fight against disease. Since then, Roche has grown into one of the world's leading healthcare companies. 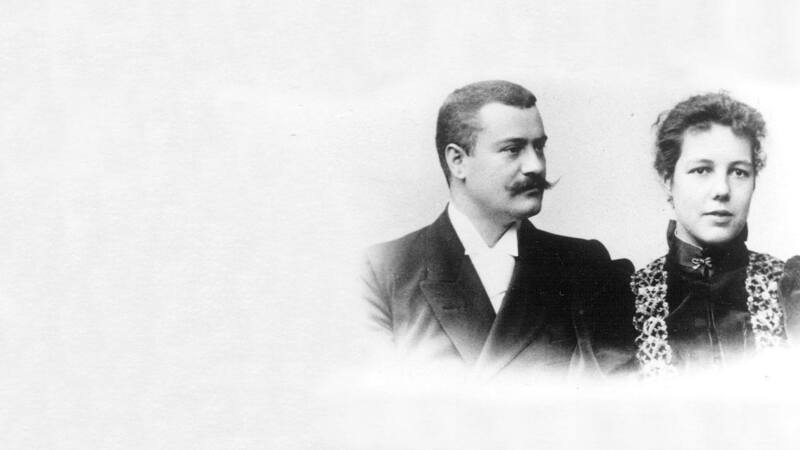 Pharmacist Carl Schaerges, the first head of research, together with chemist Emil C. Barell demonstrate the presence of iodine in thyroid extracts. 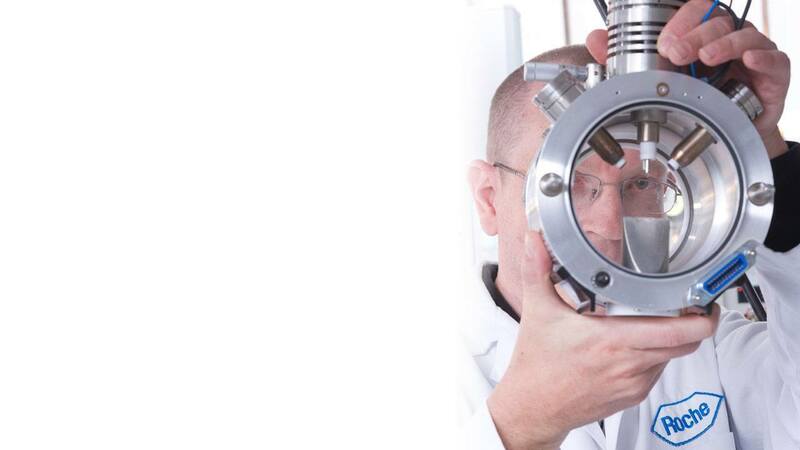 This results in Roche’s first patent and scientific publications. The launch of Aiodin marks the earliest in a series of thyroid preparations by Roche. 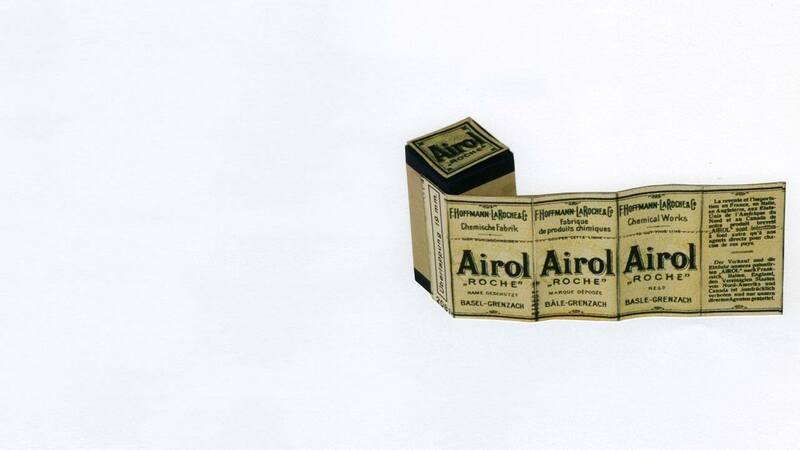 Roche launches Airol, a wound antiseptic originally developed by Hoffmann, Traub & Co. The young company has high hopes for Airol on the German market. Roche buys land in the nearby German farming community of Grenzach and builds a small factory to produce Airol. Roche soon expands its business activities. From 1897 to 1910, the factory in Grenzach, Germany, is enlarged and the lion’s share of manufacturing moves there. Fritz Hoffmann-La Roche and his new partner Carl Meerwein waste little time in building a network of European and overseas agents and subsidiaries. By 1914 Roche has offices in Milan, New York, St. Petersburg, and London, among others. Roche produces a non-prescription cough syrup containing its own active ingredient, Thiocol. The orange-flavoured syrup is an almost immediate success. Launched under the trademark Sirolin in 1898, the syrup remains on the market for over 60 years. With assistance from Roche, Max Cloëtta produces a pure, standardised digitalis preparation containing all the cardiac glycosides of the purple fox-glove leaf. The preparation is free of unnecessary ingredients and displays a uniform efficacy. Roche launches the preparation under the trademark Digalen in 1904. Digalen proves to be exactly what the medical profession has been looking for – it stays on the market until 1964. The analgesic and hypnotic Pantopon (1909) and Sedobrol (1912), a drug for epilepsy and nervous disorders, are also released as Roche grows and expands its portfolio. Hermann Sahli, head of the medical department at the University Hospital in Bern, contacts Roche research director Carl Schaerges. Sahli proposes a combination of all opium alkaloids that offers advantages over the individual compounds. 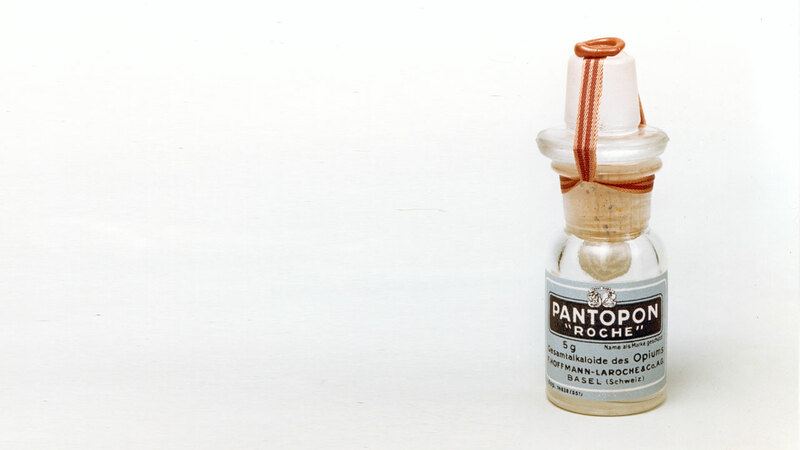 Discussions with Sahli and extensive studies done under Schaerges result in the analgesic Pantopon, which is launched in 1909. 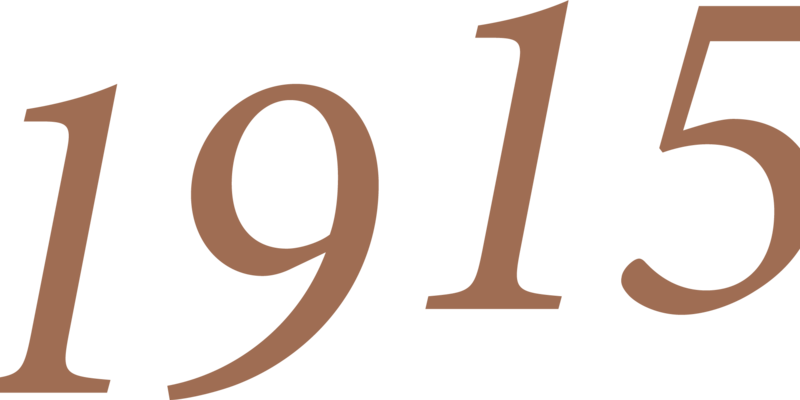 From 1897 to 1914 Roche expands worldwide, employing more than 700 people in Basel, Grenzach, Milan, Paris, Berlin, Vienna, St. Petersburg, London, New York and Yokohama. During this period, Roche strives for strong cooperation between academic circles and commercial developers. 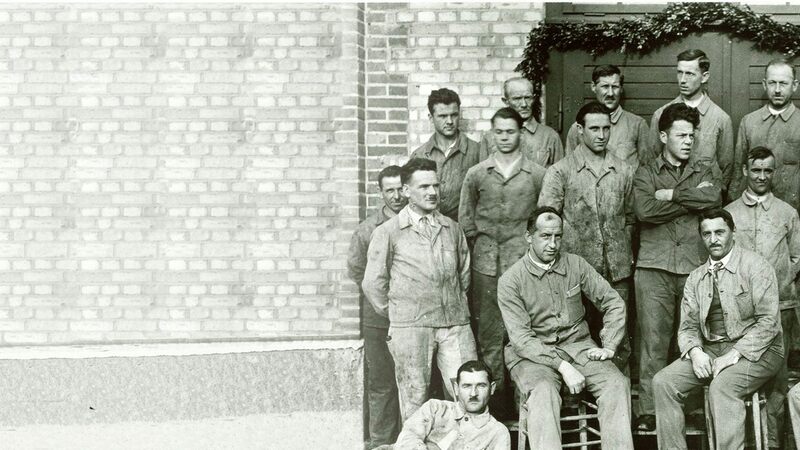 Until 1915, all Roche innovations result from such cooperation. The First World War has devastating repercussions for Roche. The German boycott of its products, Basel’s isolation from its plant in Grenzach, Germany, the loss of the company’s Russian market and assets in the revolution of 1917, and sizeable foreign exchange losses combine to create a financial crisis. In response, Roche is transformed legally into a limited company. Additionally, Roche bemoans the death of founding father and visionary Fritz Hoffmann in 1920. A glimmer of hope arises with the classic study by Markus Guggenheim of biogenic amines, which enhances Roche’s standing in the scientific community. Founding father Fritz Hoffmann dies of kidney disease on 18 April 1920, depriving Roche of a dynamic entrepreneur and a striking individual. 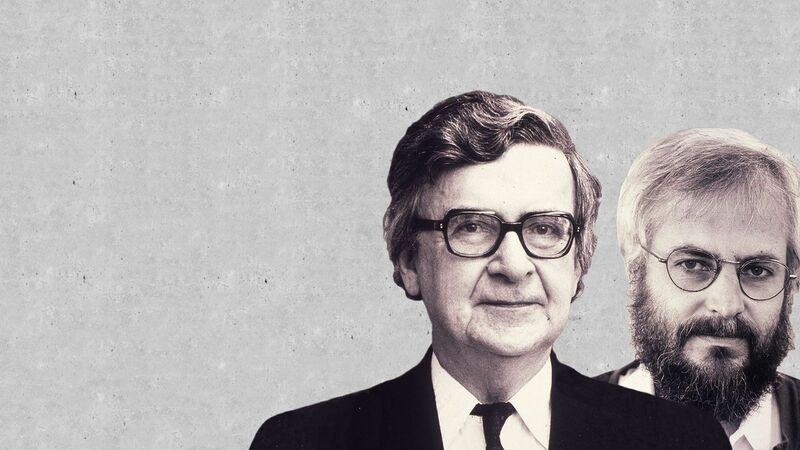 “At every step it was [Fritz Hoffmann] who determined the company’s direction, guiding it to bigger and better things with his vision, restless energy, infectious spontaneity and indomitable optimism,” said Emil C. Barell in a eulogy for Hoffmann. Barell becomes the new Chief Executive. 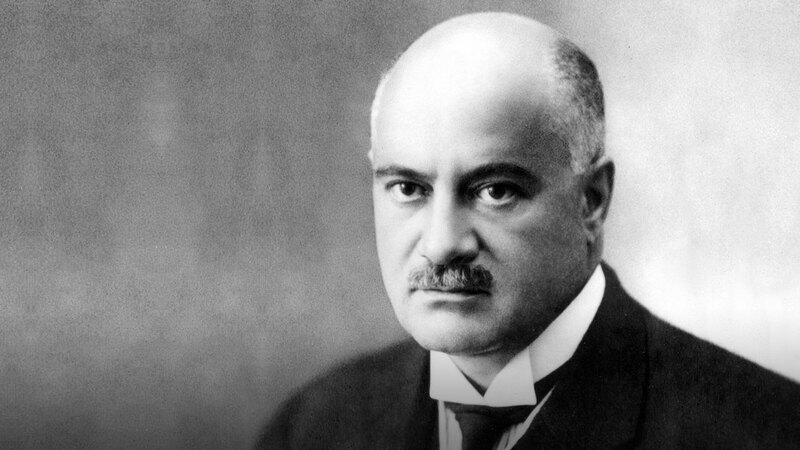 Markus Guggenheim publishes a classic study of biogenic amines in 1920. Roche begins marketing what it calls biochemicals. These include amino acids, peptides, proteins, cardiac glycosides, vitamins and hormones – all substances that the company originally produced for its own research projects. The biochemicals enhance Roche’s standing in the scientific community. 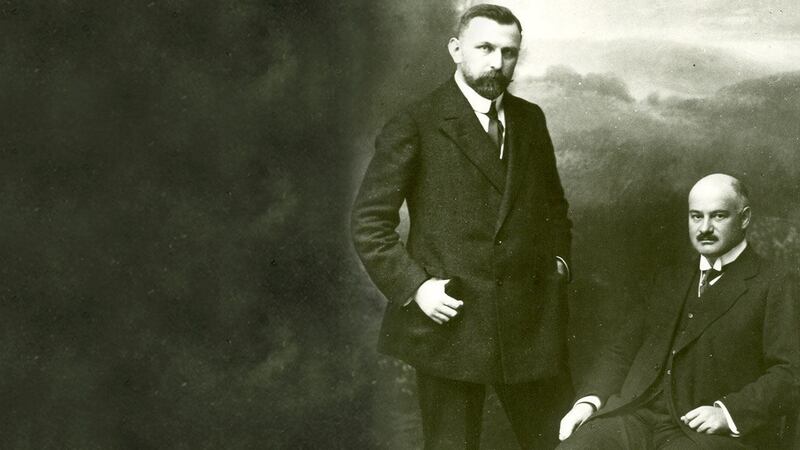 In 1927 Guggenheim begins studying vitamin B1. His investigations include work with extracts of rice bran, which will ultimately contribute to the synthesis and production of vitamin B1 at Roche. 1921 sees the creation of the “Beamten- und Arbeiterpensionskasse Roche”, a pension fund for office and factory staff. The occasion is Roche’s 25th anniversary. In addition, Chief Executive Emil C. Barell personally endows a special fund to provide gifts to employees who have completed 25 years of service. 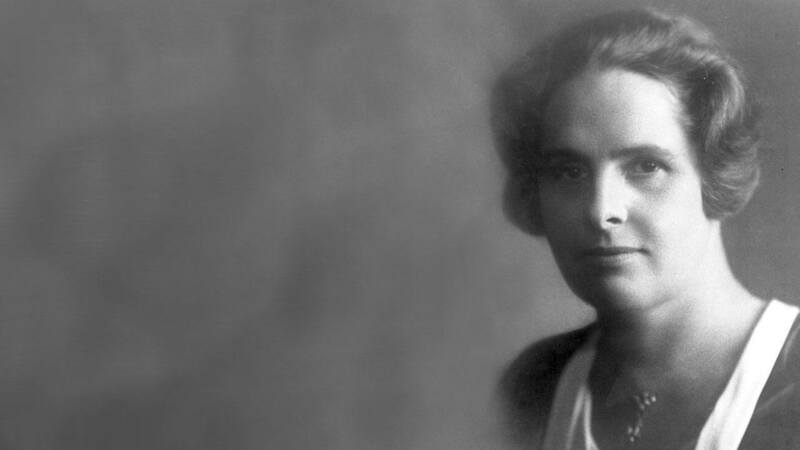 Alice Keller, a 30-year-old native of Basel, boards ship to Japan in 1926. A PhD graduate in political economics she has worked at Roche Basel for about a year before accepting a post in Tokyo, where the company formed a subsidiary in 1925. She starts as a kind of girl Friday, handling correspondence, revising documents and doing some of the billing and costing. When she returns in 1939, Keller has risen to the senior executive ranks of Direktorin – a sensational achievement for the times. Allonal is introduced in 1920. The analgesic sedative and hypnotic drug is the first product to use compounds produced by synthetic chemistry. An industrial laboratory is built in Basel to develop synthetic processes. Roche managed to overcome the crisis under the leadership of chairman Emil C. Barell. The company experienced an unexpected upsurge spurred by its vitamin production, which made the return to former prosperity possible. Roche is able to expand once more and starts its strong commitment to the US-American market with first investments in New York and Nutley. 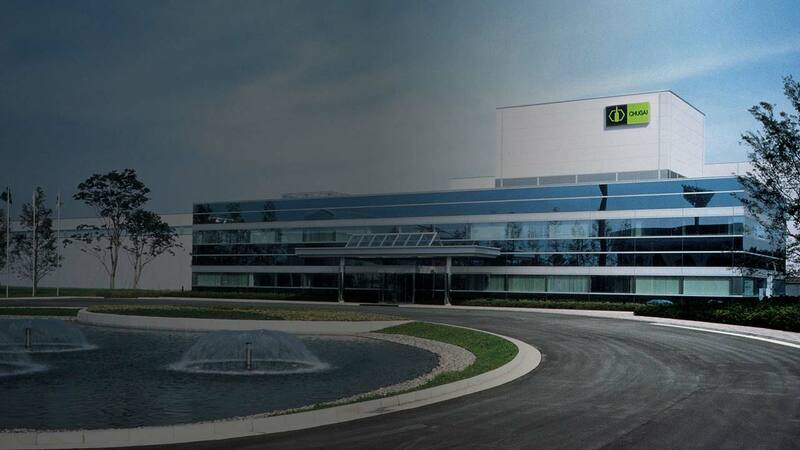 Roche outgrows its New York offices, prompting the development of a new plant in Nutley to manufacture a wide range of products. 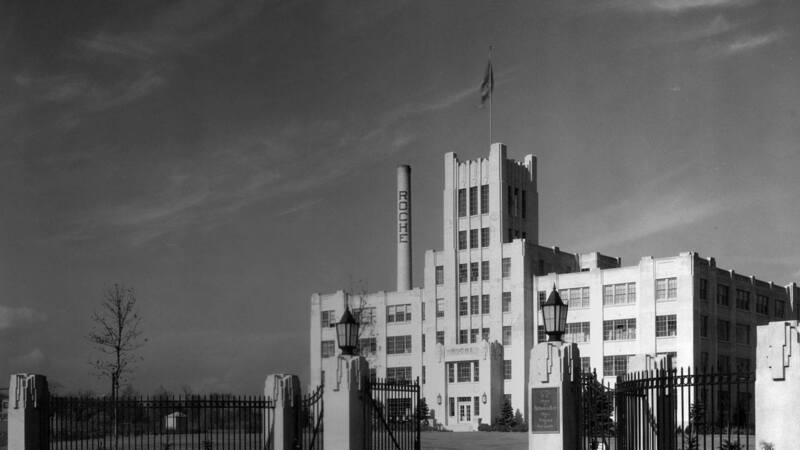 Soon after the move to Nutley in 1929, the list of products manufactured locally includes barbiturates such as Allonal. 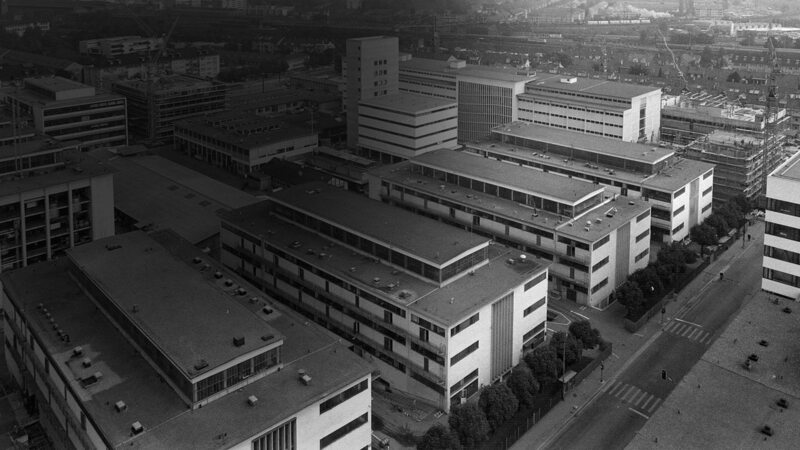 In Basel, work proceeds on a new administration building designed by architect Otto R. Salvisberg. A native of Bern, Salvisberg has already made a name for himself with several projects in Berlin. Completed in 1935, the elegant simplicity of administrative Building 21 is impressive even today. 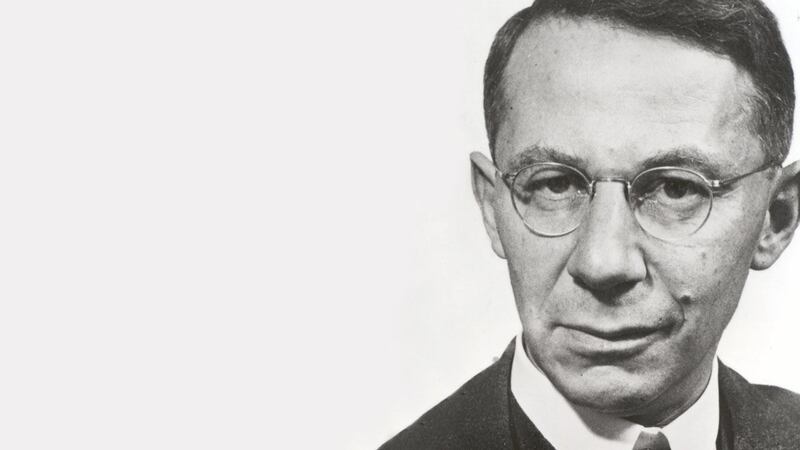 Tadeusz Reichstein (Nobel Prize winner 1950) offers Roche a workable method of synthesising vitamin C. A year later the first 50 kilograms of vitamin C are produced, marking the start of vitamin manufacturing at Roche. The first vitamin C preparation, Redoxon, is launched. Roche becomes the leading supplier of vitamins, having also mastered the industrial synthesis of vitamin A, B1, B2, E and K1. By 1938, vitamins are the company’s mainstay, encompassing Benerva (vitamin B1), Nestrovit (multi-vitamin), Beflavin (vitamin B2) and Ephynal (vitamin E). Vitamin output increases and new production locations strengthen Roche’s position as one of the main producers of vitamins. To avoid a strong dependency on vitamins, Roche intensifies pharmaceutical research. Between the early 1950s and mid-1960s pharmaceutical research is extremely diverse, with a portfolio of pharmaceuticals ranging from antidepressants and antimicrobials to agents for cancer chemotherapy. During this period, Roche’s researchers discover a compound of the benzodiazepine class that sedates without causing drowsiness. 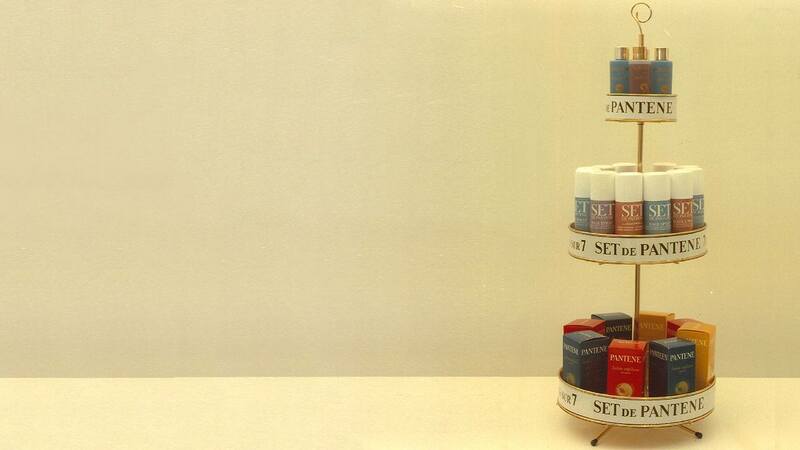 In 1945 Roche establishes Pantene Corporation and affiliate cosmetic companies. The companies employ 4,000 – 1,200 alone in Basel and 2,000 in Nutley, USA. In the mid-1950s a new group of sedatives, known as tranquillisers, is introduced into clinical use. Returning to a group of compounds he has worked on previously, Leo Sternbach chances upon benzodiazepines. One of them, Ro 5-0690, later launches as Librium. 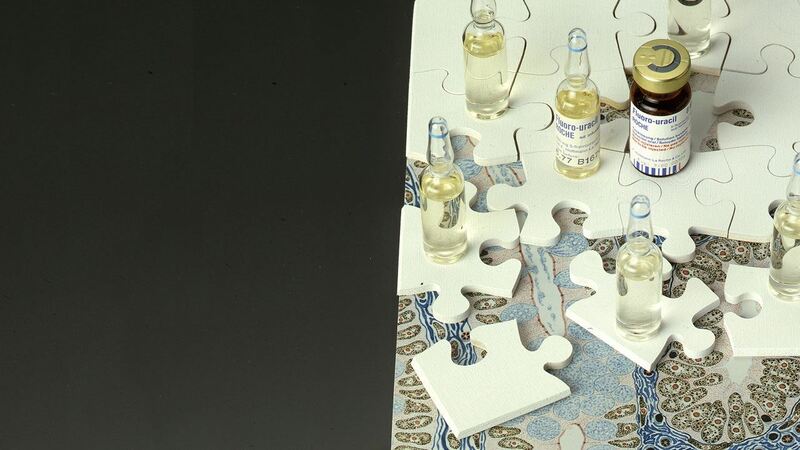 Tranquillisers soon become one of Roche’s most important product segments. This success, combined with a push to streamline vitamin production, fuels a period of unprecedented growth. Roche introduces its first anti-cancer drug, Fluorouracil, in 1962. 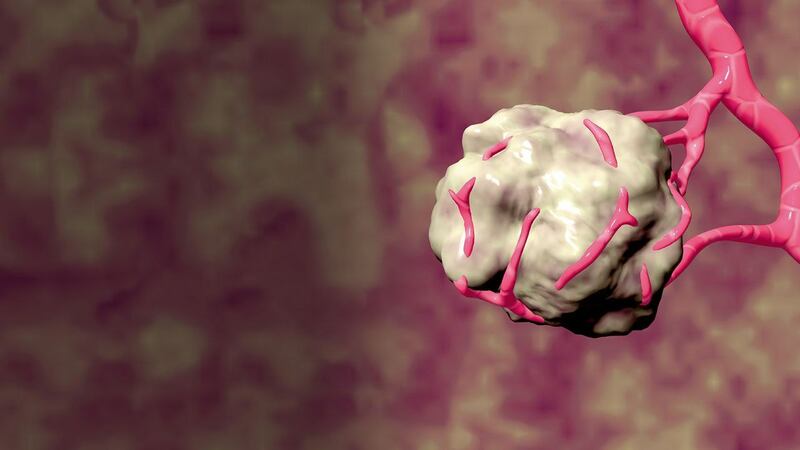 The drug paves the way for Roche’s activities in the field of cancer chemotherapy. 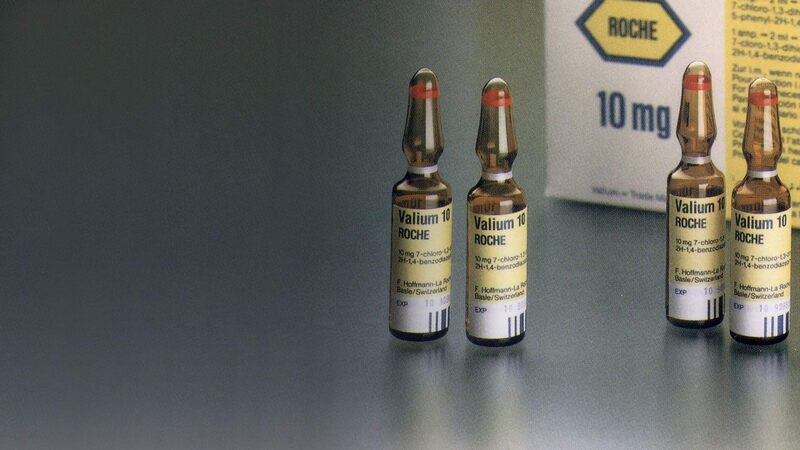 Valium Roche, a sedative and anxiolytic drug belonging to the benzodiazepine family, launches in 1963. Valium will prove a huge therapeutic success, enabling Roche to build a worldwide reputation in psychotropic medications. 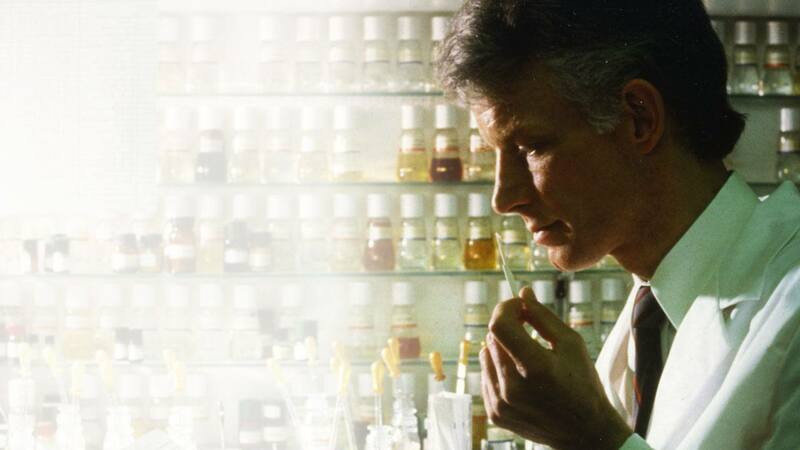 In 1963 Roche acquires Givaudan S.A., a leading manufacturer of fragrances and flavours. 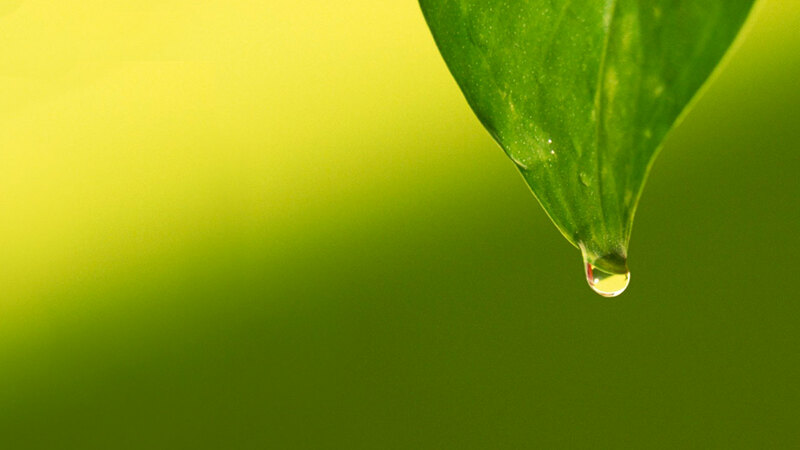 Givaudan is a longstanding customer for intermediates from Roche’s vitamin A production. 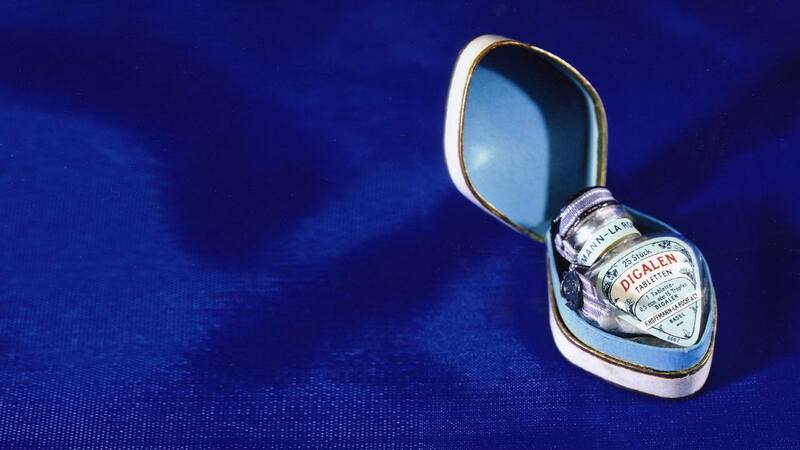 Roche also acquires renowned French fragrance company Roure Bertrand Dupont in 1964. By 1965, Roche employs 19,000 people worldwide, compared with only 7,000 in 1953, and continues to form new subsidiaries around the globe, e.g. in India and Mexico. Propelled by the success of the benzodiazepines, Roche diversifies across the entire spectrum of healthcare. In Switzerland and the United States, bioelectronics departments are set up to develop electronic medical instruments. Rocom and Medicovision are the company’s forays into medical publishing. The acquisition of Dr. R. Maag AG, a plant protection company, reflects Roche’s growing involvement in agrochemicals. In Nutley, USA, a new diagnostics department is established. This period also marks the start of Roche’s involvement in basic biomedical research. The company establishes the Roche Institute of Molecular Biology in Nutley, the Basel Institute for Immunology and the Nippon Research Center in Kamakura, Japan. A chemical accident at an Italian subsidiary is a major setback. 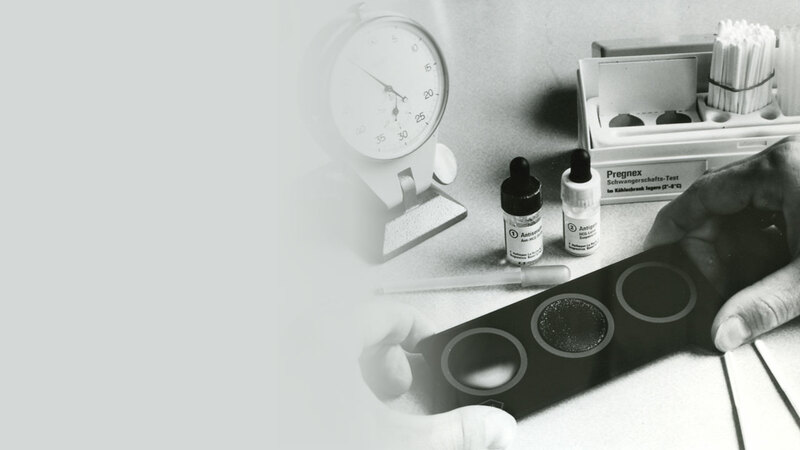 The creation in 1968 of a department for diagnostic products marks Roche’s entry into a new sector. Apart from developing new diagnostic tests and automatic analysers, objectives include setting up service laboratories to perform clinical analyses for hospitals and office-based physicians. 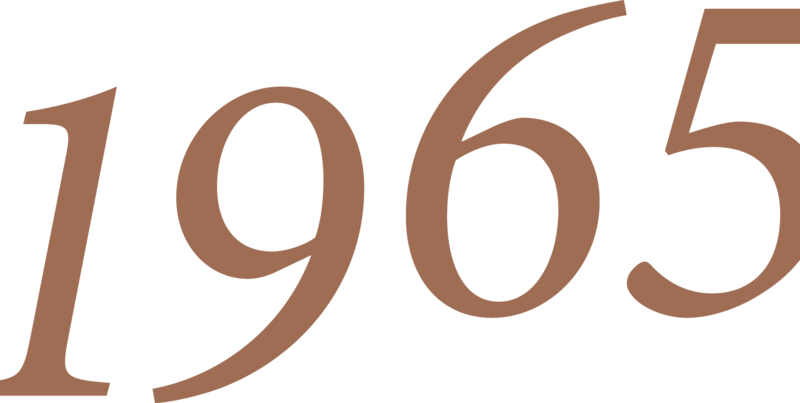 The Roche Institute of Molecular Biology opens in 1968 in Nutley. It is one of Roche’s first research and development centres. 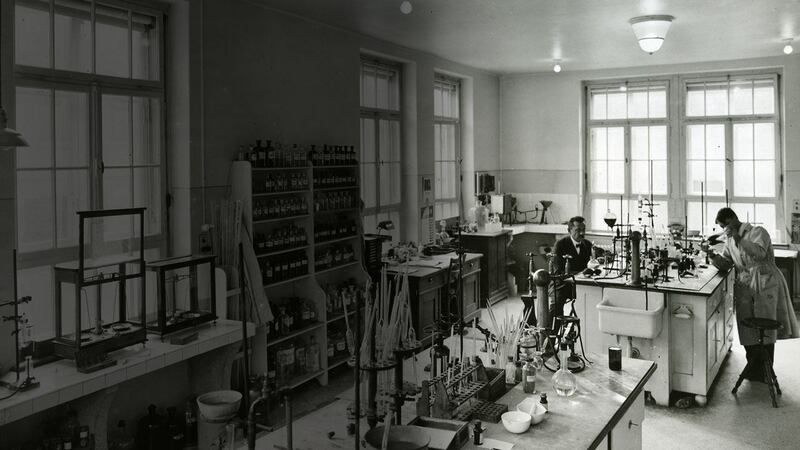 A year later, Roche opens the Basel Institute for Immunology. The first director is Niels Kaj Jerne, who later receives a Nobel Prize for medicine. 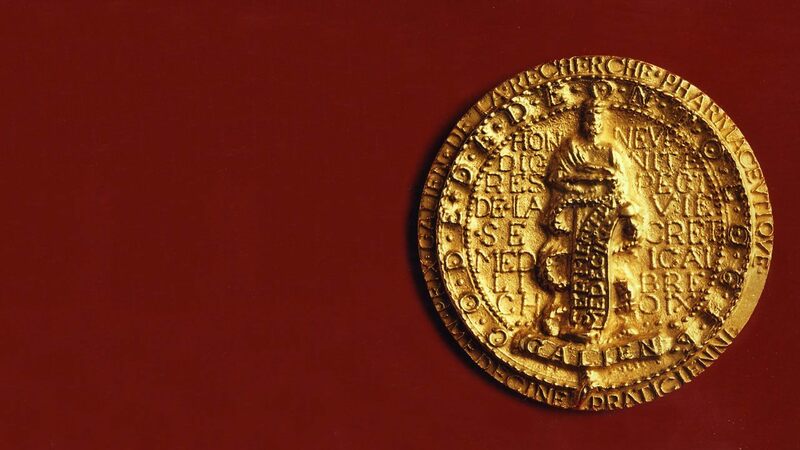 The anti-Parkinson drug Madopar wins the Prix Galien (1974), a prize created in France to honour innovative and valuable advances in drug therapy. This is the first of a series of prizes for Roche therapeutics that have become milestones in drug therapy, as well as the first of 27 awards for other Roche products. 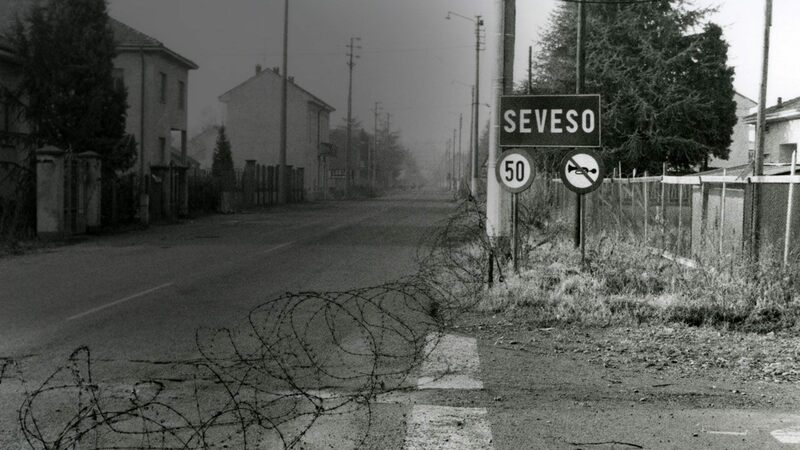 A runaway chemical reaction occurs in 1976 at a plant operated by a Roche subsidiary in Seveso, Italy. An aerosol cloud containing a mixture of dioxin and other chemicals escapes from the factory, contaminating Seveso and several neighbouring communities. From the beginning Roche makes every effort to redress the damage, including assisting authorities in dealing with the after-effects of the disaster. Roche begins to tighten its organisational structure and moves towards creating separate business units. Additionally, corporate activities are consolidated through acquisitions and divestments. After the corporate realignment, Roche operates with four core business divisions: pharmaceuticals, vitamins and fine chemicals, diagnostics, and flavours and fragrances. 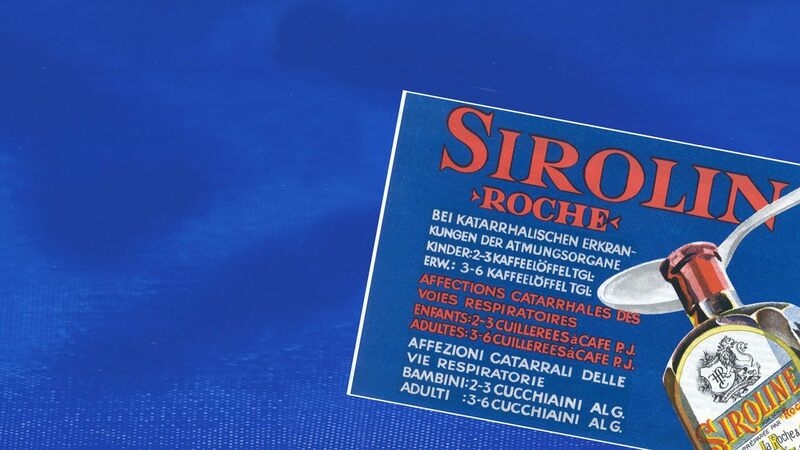 In 1980 at the Roche Institute of Molecular Biology, a pure interferon alfa is isolated. 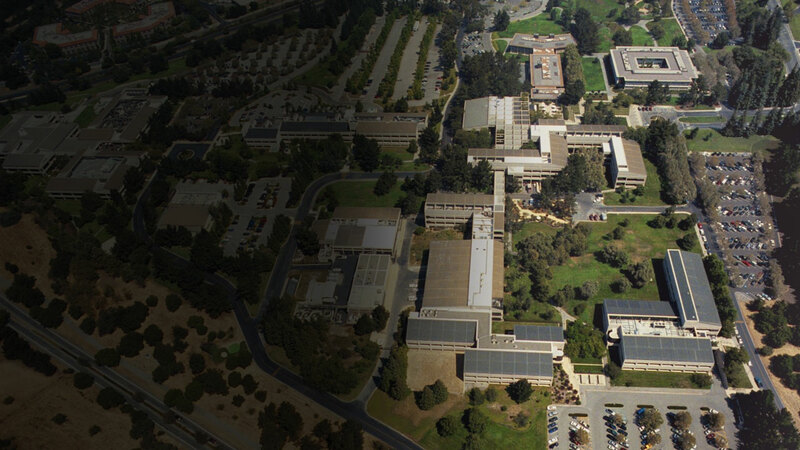 Roche Nutley and Genentech, a biotech company based in South San Francisco, begin a joint project to produce a genetically engineered version of the substance. Rocephin, an antibiotic of the cephalosporin class, is launched in 1982 in Switzerland only four years after its discovery. By 1987 Rocephin outsells all other Roche products. The Diagnostics Division releases the Cobas Bio/Mira random access biochemistry analyser. 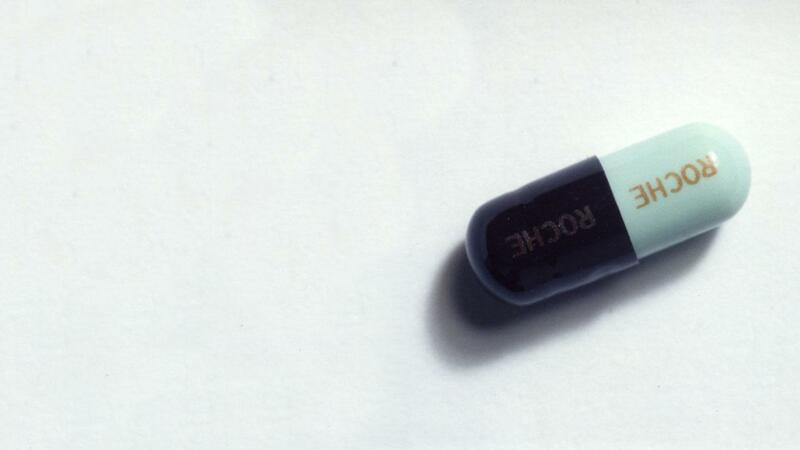 Roferon-A, Roche’s first genetically engineered drug, enters the market. Niels Kaj Jerne, the first director of the Basel Institute of Immunology, is awarded the Nobel Prize for medicine (1984) for his seminal work in immunology. The award is shared with César Milstein and Georges Köhler, co-discoverers of monoclonal antibodies. Susumu Tonegawa, a researcher at the Basel Institute for Immunology from 1972 to 1981, is awarded the Nobel Prize for medicine (1987) for his work on antibody gene segments. His fundamental discoveries later make possible the production of humanised antibodies. 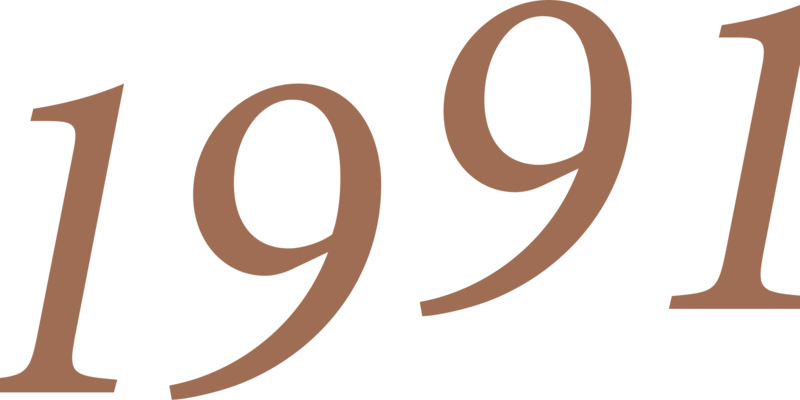 The corporate structure introduced in 1986 is extended and reinforced, preparing the way for separate operating divisions in 1990. 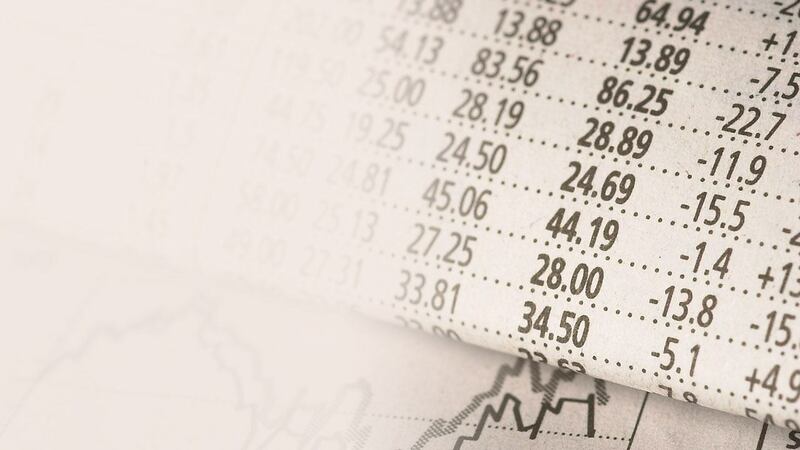 The changes involve the formation of a holding company (Roche Holding AG), parallel to an increase in nominal share capital and in the number of bearer shares. 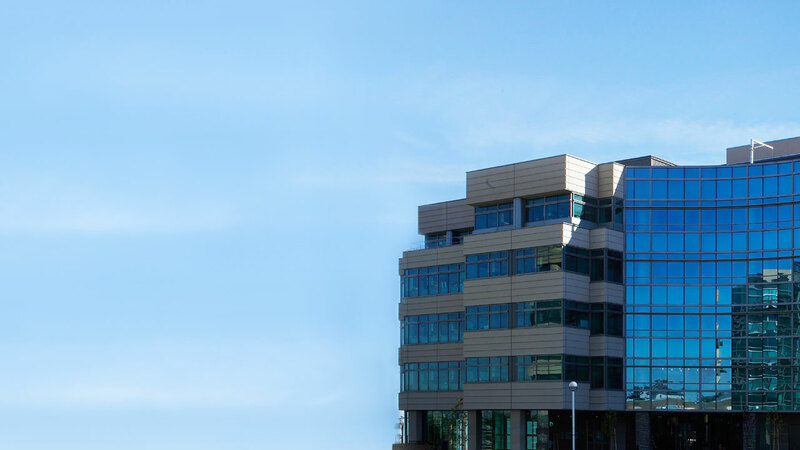 The new structure gives Roche access to international capital markets. Through its commitment to research and innovation, Roche continues to make steady advances in drug therapy that will replace more expansive treatments and shorten hospital stays. Roche acquires the worldwide marketing rights to the polymerase chain reaction (PCR) from Cetus Corporation in 1991. Capable of detecting minute amounts of genetic material, the technique opens the way to developing diagnostic tests that are fast, sensitive and specific for a broad spectrum of medical and research uses. A series of innovative drugs for cancer treatment are developed starting in the mid-90s: Herceptin, a novel treatment for metastatic breast cancer, is a humanised antibody designed to target and block the function of HER2, a protein produced by a specific gene with cancer-causing potential. MabThera increases the time patients with the most common form of adult leukaemia live without their cancer progressing. 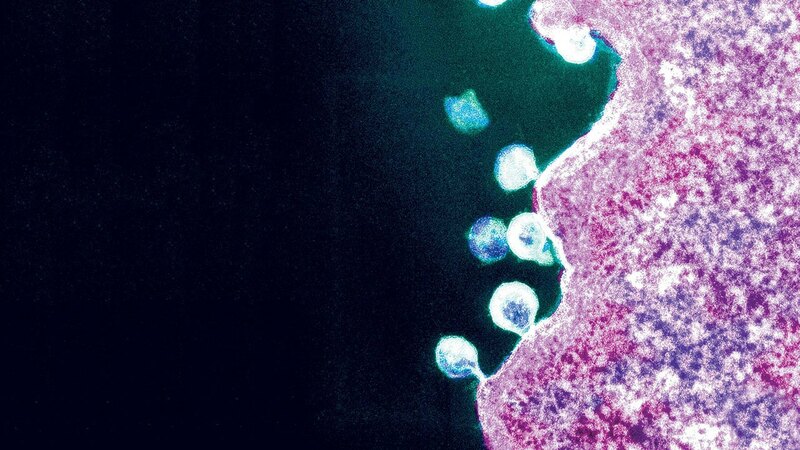 Invirase, the first HIV-protease inhibitor is launched and wins the Prix Galien in 1999. 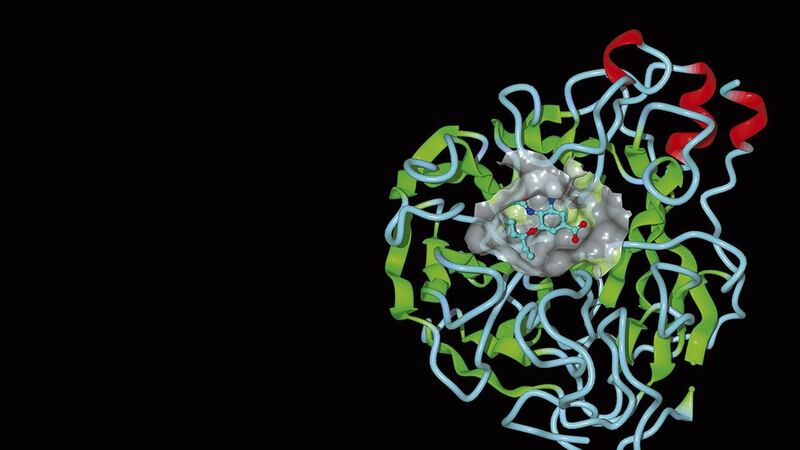 Valcyte and Fuzeon are released, the first of the new class of fusion inhibitors aimed at treating HIV. 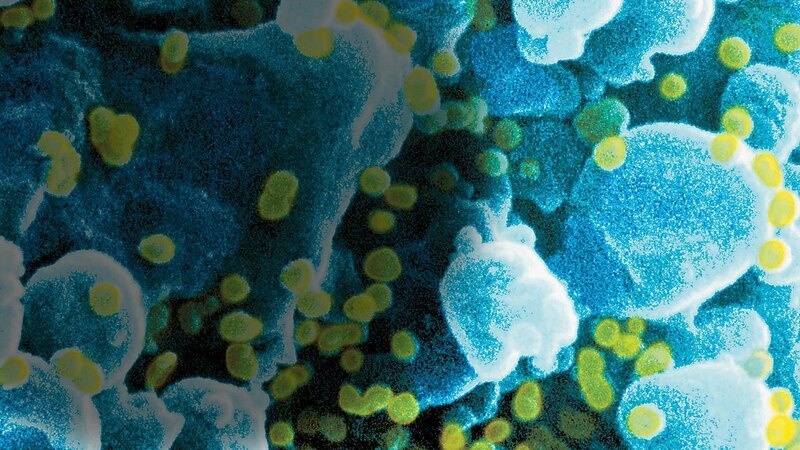 Fuzeon blocks the virus from entering the human immune cell, preventing HIV replication that can devastate the immune systems of HIV-infected individuals (awarded Prix Galien in 2004). 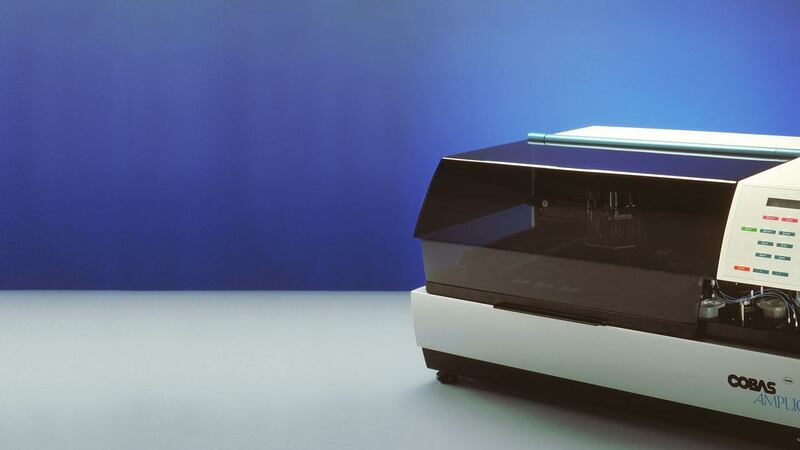 The Diagnostics Division launches a series of products in the mid-1990s in all areas of medical testing: Cobas Integra, a clinical chemistry and immunochemistry analyzer; Cobas Core II, an immunochemistry analyzer; Cobas Amplicor, an analyser based on PCR technology; and Accutrend and Accu-Chek, an innovative product line that offers more convenient diabetes management and virtually pain-free testing for diabetics. Tamiflu (oseltamivir), a prescription drug, is an oral antiviral treatment, not a vaccine, for influenza. It belongs to a class of medicines called neuraminidase inhibitors. These medicines prevent the influenza virus from spreading inside the body and are designed to be active against all clinically relevant influenza virus strains. Released in 1999, Tamiflu can be used both for prevention and treatment of influenza. Roche strengthens its position in international and US pharmaceutical markets in 1994 by acquiring Palo Alto-based Syntex Corporation. The takeover continues Roche’s strategy of concentrating on its core business. In 1995 Syntex becomes Roche Bioscience, one of the Group’s major research and development sites. 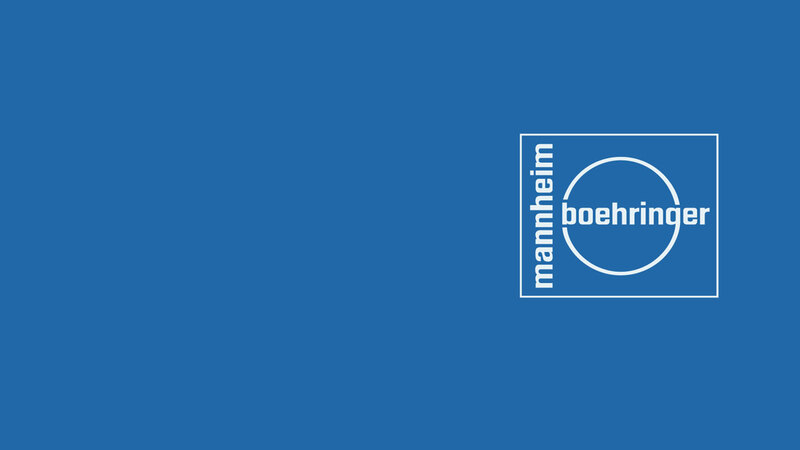 With the acquisition in 1998 of Boehringer Mannheim, Roche became the world leader in diagnostic markets for its unique range of innovative products, depth and breadth of technologies and overall geographical presence. The purchase in 1991 of Nicholas, a producer of non-prescription medicines, strengthens Roche’s portfolio of over-the-counter medicines, an increasingly important area because of the growing trend towards self-medication. Nicholas will later be integrated into Roche’s Consumer Health division. The Roche International Clinical Research Centre opens in Strasbourg, France. It is responsible for conducting clinical trials and preparing international regulatory filings in several therapeutic areas. Penzberg, Germany, one of Roche’s main research and development sites increases capacity with by opening a new research building in 1998. After many successful years, the Basel Institute for Immunology shifts its focus to genetics as a basis for understanding gene functions and the role of genes in disease. Referred to by locals as a miracle train, the Transnet-Phelophepa healthcare train provides medical, dental and psychiatric services and brings basic healthcare and health education to poor communities in remote parts of South Africa. Just three coaches long in 1994, it has developed into the 600-ton, 16-coach train that it is today. 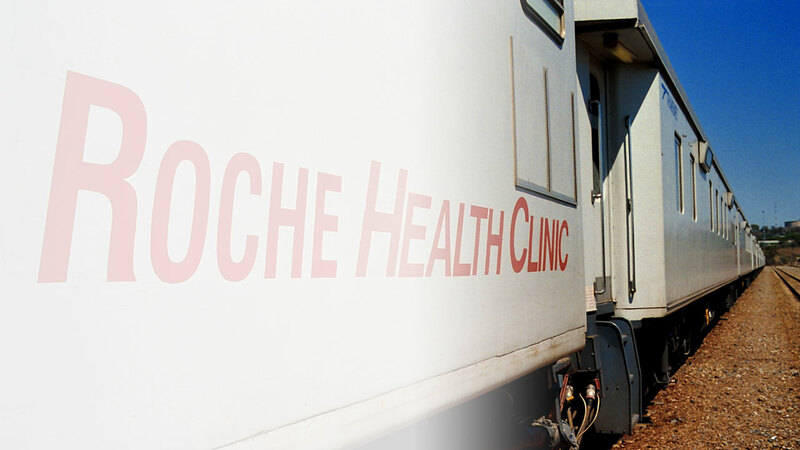 The huge success of the project, which Roche has been supporting from the outset, prompted the decision to launch a second train, Phelophepa II, in 2012. Roche ranks among the world’s leading healthcare companies with its expertise in two core businesses – Diagnostics and Pharmaceuticals. Combined with its strength in biotechnology, the company paves the way to the future of healthcare with innovations in areas such as personalised healthcare. To intensify its focus on healthcare, Roche divests two businesses: fragrances and flavours, and vitamins and fine chemicals. 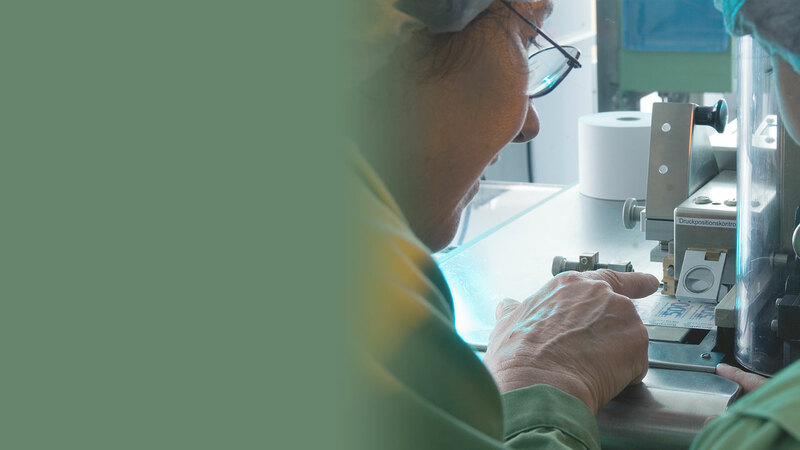 As a research-driven company committed to innovation, the Group’s Pharmaceuticals and Diagnostics Divisions supply products spanning the healthcare spectrum, from the early detection and prevention of disease to diagnosis and treatment. Combining the strengths and expertise of both divisions, Roche plays an increasingly important role in shaping the future of medicine by contributing to the personalised healthcare approach. In 2004 Roche is the first global healthcare company to establish a research and development centre at the Zhangjiang Hi-Tech Park in Shanghai, China. Wholly owned and operated by Roche, the centre supports the company’s worldwide research and development activities and its business development efforts in China. The Shanghai site is an important addition to the Group’s R&D facilities in the United States, Japan, and Europe. Roche and Chugai enter into an alliance to create a research-driven pharmaceutical company in Japan, the world’s second-largest pharma market. The new enterprise – formed in 2002 by the merger of Nippon Roche and Chugai and named Chugai Pharmaceutical Co., Ltd. – is the 5th largest pharmaceuticals company operating in Japan. Chugai Pharmaceutical specialises in prescription pharmaceuticals, with strengths in biotechnology. 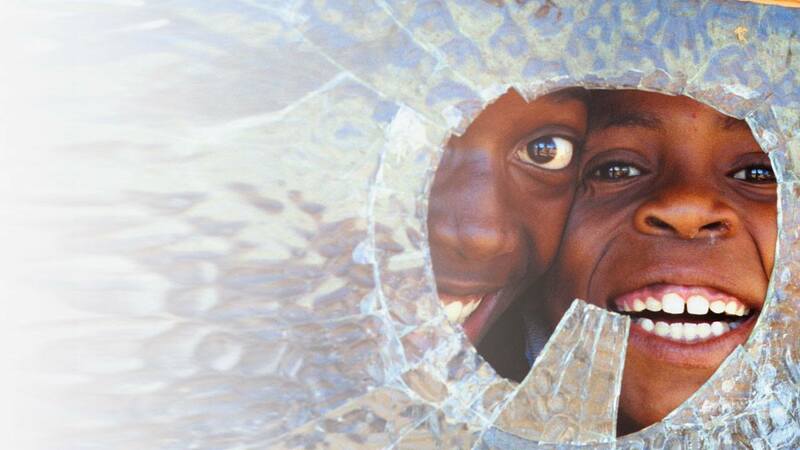 In 2003 employees launch the Roche Children’s Walk, a fundraiser for the growing number of HIV/AIDS orphans in Africa. The walk is supported by more than 100 locations, with approximately 50,000 employees participating each year. On a set day, employees walk or run 5 kilometres and ask friends and family for sponsorship. Funds raised by employees are matched by Roche. 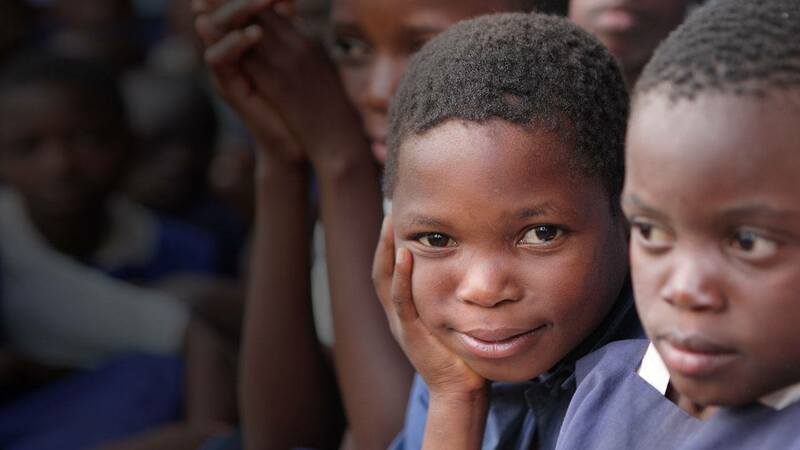 Funds raised have been used to support HIV/AIDS orphans, primarily in Malawi. Avastin is the first in an innovative class of drugs used to treat metastatic colorectal cancer. 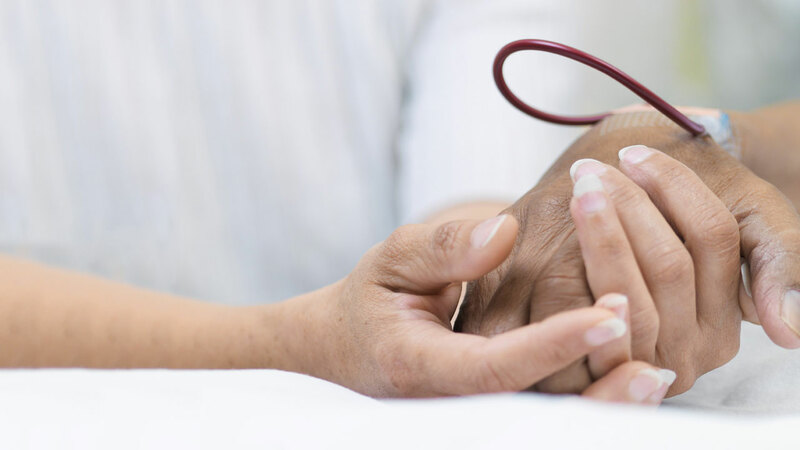 Launched in 2004, the anti-angiogenic agent differs from other agents used to treat this type of cancer by preventing the formation of new blood vessels, a process called angiogenesis. Tarceva, a new class of cancer drugs, is released. The oral drug works by inhibiting the activity of a specific enzyme (tyrosine kinase), part of the human epidermal growth factor receptor, a signalling pathway that plays a key role in the formation and growth of numerous cancers. In 2004 Roche is recognised as a leader in healthcare in two of the world’s foremost sustainability indices, the Dow Jones Sustainability World Index and the Dow Jones STOXX Sustainability Index. Previously, Roche was listed in the UK’s FTSE4Good Index, which measures corporate performance against accepted standards of social responsibility. Inclusion in these important indexes underlines Roche’s commitment to responsible business practice and sustainable long-term value creation. 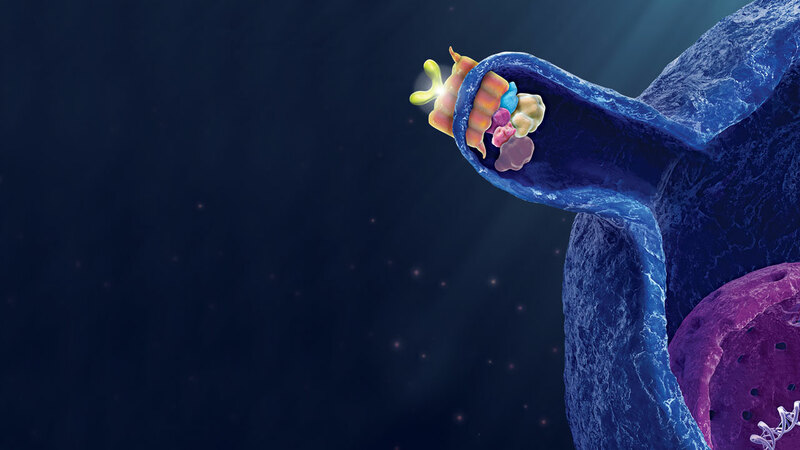 Roche acquires Swiss-based GlycArt Biotechnology in 2005, strengthening its expertise in therapeutic antibody research with GlycArt’s unique technology for enhancing the efficacy of antibodies. Therapeutic antibodies bind specifically to certain molecules and thereby prevent them from causing illness. They also direct the patient’s immune system specifically onto disease-causing antigenic structures to bring about their destruction. Roche becomes a founding member of the International Committee of the Red Cross, Corporate Support Group in 2005. Roche joins several other companies in forging a partnership to provide long-term strategic support for the humanitarian mission of the Red Cross. 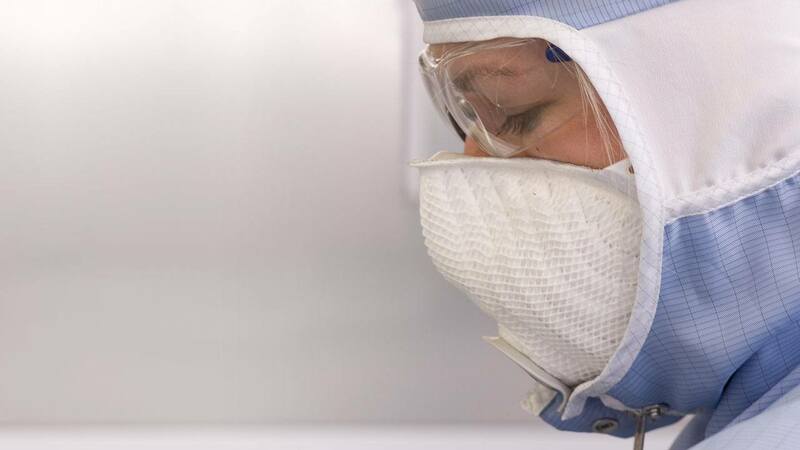 As demand steadily grows for innovative medicines, Roche expands manufacturing capacity for biotechnology products at Basel and at Penzberg, Germany. The new facilities manufacture active ingredients of the anti-cancer medicines Avastin and Herceptin, both of which belong to a group of therapeutic agents known as monoclonal antibodies. The increased focus on innovation and biotechnology lead to important advances in diagnostic techniques and medicines aimed at molecular targets. As a result, many diseases can be detected earlier and treated more specifically. The full integration with biotech pioneer Genentech in 2009 follows acquisitions of other key players in life science research, gene sequencing and tissue diagnostics. These strengthen Roche’s access to innovation and new technologies and drive its commitment to more targeted treatments that, ultimately, make personalised healthcare a reality. A series of key acquisitions in 2007 and 2008 bring important technologies to Roche Diagnostics. 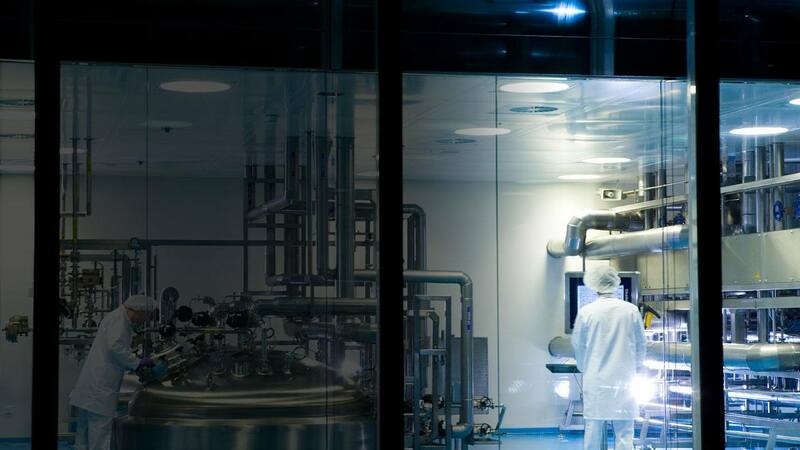 BioVeris allows expansion of its immunochemistry business into new segments such as life science development, drug discovery, drug development and clinical trials. NimbleGen brings access to DNA microarrays, which are widely used as discovery and research tools in pharma research. 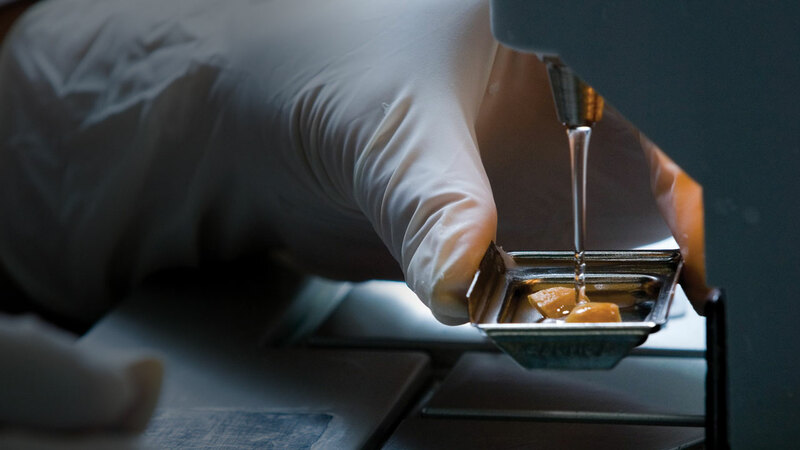 454 Life Sciences gives access to future generations of sequencing products and the use of 454 Sequencing for in-vitro diagnostic applications. 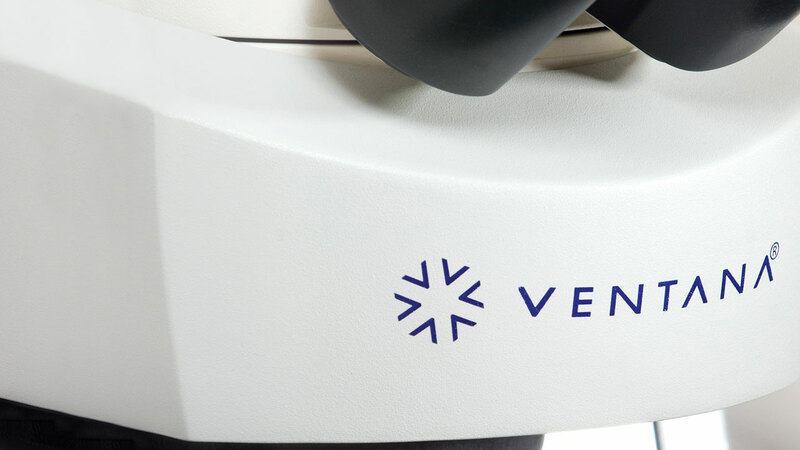 Ventana Medical Systems, a leader in fast-growing tissue-based diagnostics, allows Roche to broaden its diagnostic offerings and complement its world leadership in both in-vitro diagnostic systems and oncology therapies. 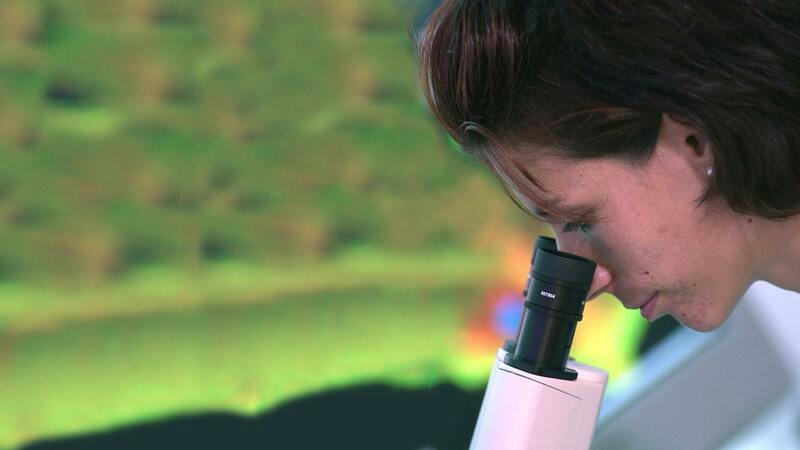 Drawing on a unique combination of strengths in pharmaceuticals and diagnostics and on a deep understanding of molecular biology, Roche places personalised healthcare (PHC) at the centre of its business strategy. PHC is seen as a key enabler for delivering clinically differentiated medicines. With pharmaceuticals and diagnostics under one roof, the two divisions collaborate at the earliest stages of research to identify better drug targets and the patient groups who will benefit most from new medicines. 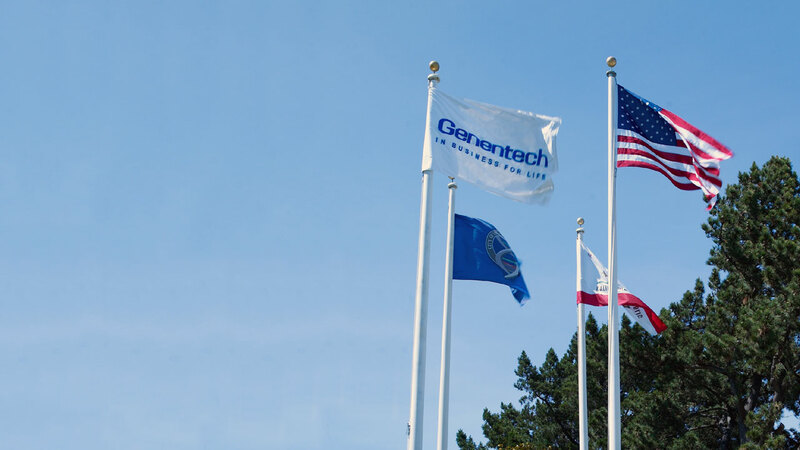 Genentech becomes a wholly owned member of the Roche Group in 2009. Considered the founder of the biotechnology industry, Genentech maintained close ties with Roche throughout its history. 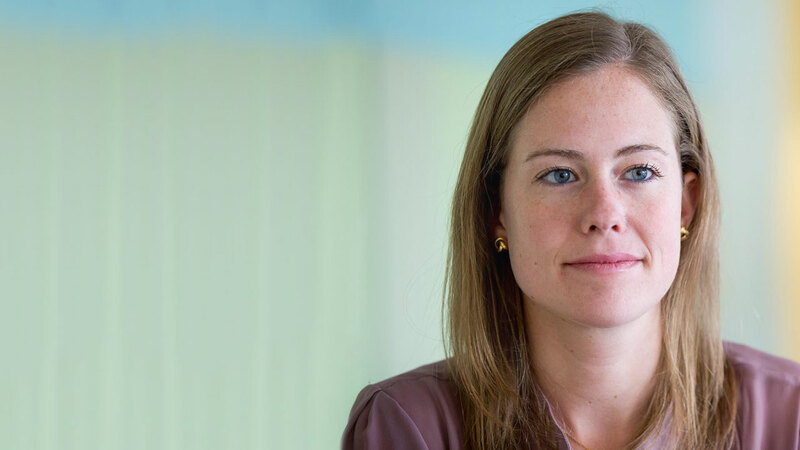 The combined portfolios of both companies form the world’s largest biotech company, focused on using human genetic information to develop medicines for patients with serious or life-threatening medical conditions. Innovation is enhanced by sharing intellectual property and technologies while maintaining a diversity of research approaches. Roche acquires US-based Ventana Inc. in 2008. 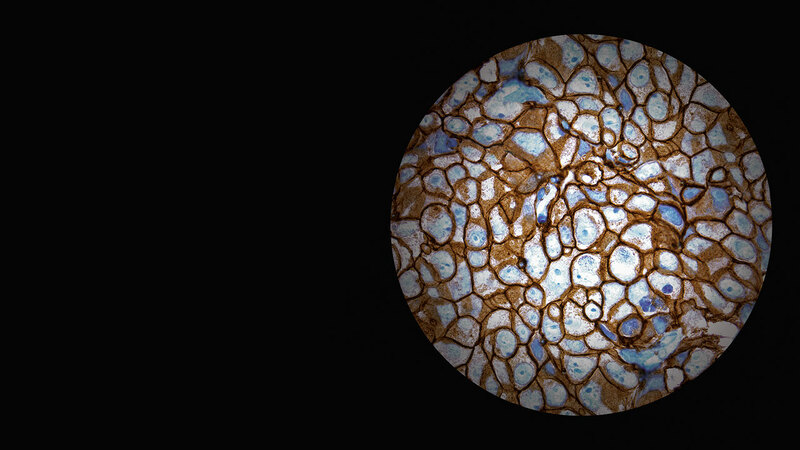 The tissue-based diagnostics specialist produces diagnostic instrument and reagent systems for use in clinical histology and for researching new active ingredients. This marks a major addition to Roche’s diagnostics portfolio. 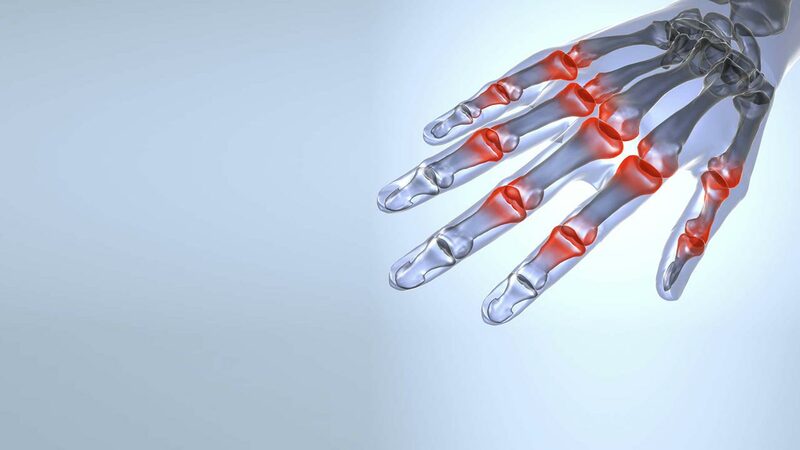 Actemra/RoActemra is a first-in-class humanised anti-IL-6 receptor antibody whose mechanism of action provides a novel form of treatment for adult rheumatoid arthritis. It is approved in the European Union (RoActemra), the United States and other countries in 2009 and 2010, following its launch by Chugai in Japan in 2005. In 2007 Roche receives the first Financial Times Citi Private Bank Environment Award for the greatest improvement in carbon efficiency by a large enterprise both on a European and a global level. 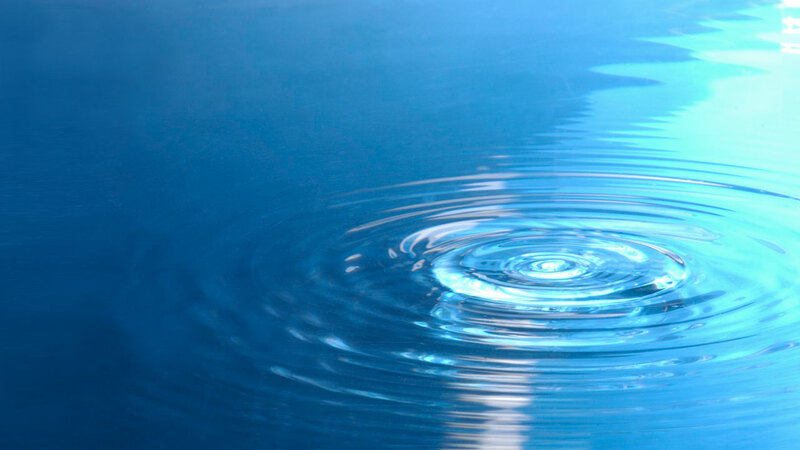 In 2010 Roche is recognised as the most sustainable healthcare company worldwide. 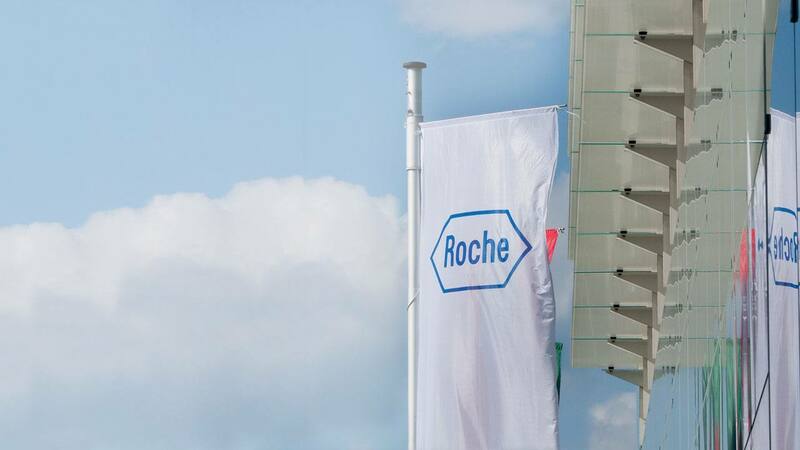 Named Supersector Leader in Healthcare in the Dow Jones Sustainability Index for the first time, Roche goes on to consistently win the award in subsequent years. The cobas 8000 diagnostics system launches in 2009. Its modular components can be combined in various ways to form high-performance test lines. 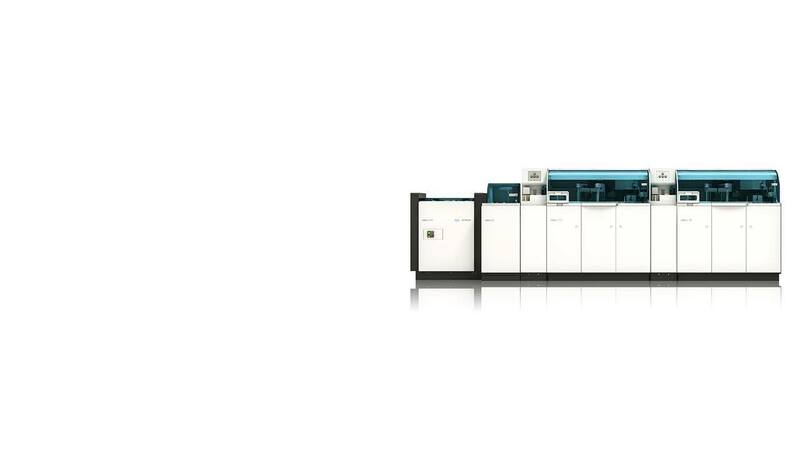 The system is designed for high-workload laboratories and can process 8,400 tests per hour. The 2011 market launch of Zelboraf, the first medicine specifically for skin cancer of the BRAF V600 mutation, marks a breakthrough in the treatment of this serious cancer condition. The product was developed simultaneously with its companion test, which provides rapid detection of the BRAF V600 mutation. 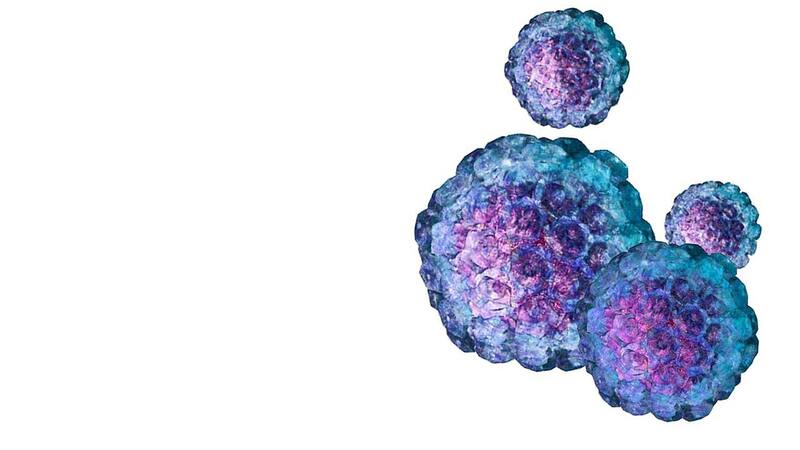 Roche also launches the first HPV test to allow detection of cervical cancer. 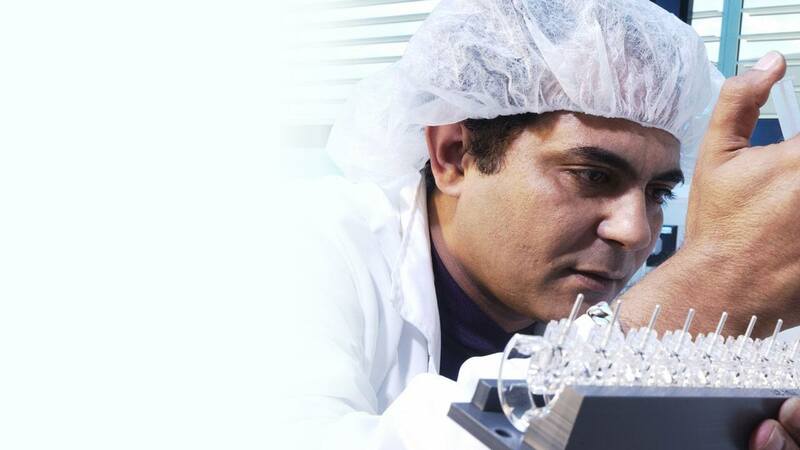 The product is awarded the Prix Galien as best diagnostic test in 2013. 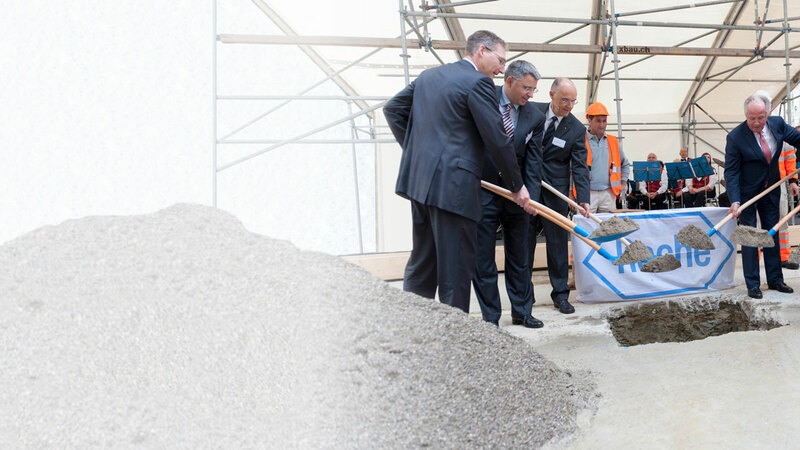 In May 2013 the foundation stone is laid for a 41-storey office tower in Basel. Known as Building 1, high-rise was designed by architects Herzog & de Meuron and closely following the Roche architectural tradition. The structure will satisfy continuing demand for office workplaces at the Basel site. Starting in 2015, some 2,000 employees will work in Building 1, which, at a height of 178 metres, will be Switzerland’s tallest high-rise. The need for such a structure arose to satisfy continuing demand for office workplaces at the Basel site, where space is at a premium. A new unifying and inspiring Roche purpose statement is launched globally: Doing now what patients need next. In 2012 and 2013, Roche launches a series of innovative treatments for specific types of cancer: Erivedge is a novel signal pathway inhibitor that was initially approved for the treatment of basal cell carcinomas; Gazyva is launched for the treatment of chronic lymphocytic leukaemia; and Perjeta and Kadcyla, the first antibody drug conjugate developed by Roche, mark the introduction of two new treatments for HER2-positive breast cancer. 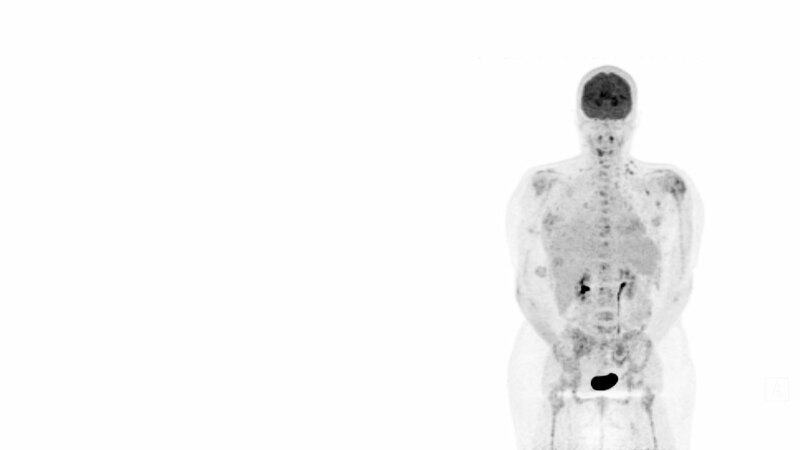 Several novel tests for the detection of different types of cancer hold promise for more effective tumour treatment in the future. The CINtec PLUS cytology test for fully automated cell-based cervical cancer screening rounds out Roche’s portfolio of tests for the early detection of this type of cancer. It also detects cases that might not have been identified with Pap smear screening alone. Proud as we are of our past and present achievements, what really excites us, however, is the future.